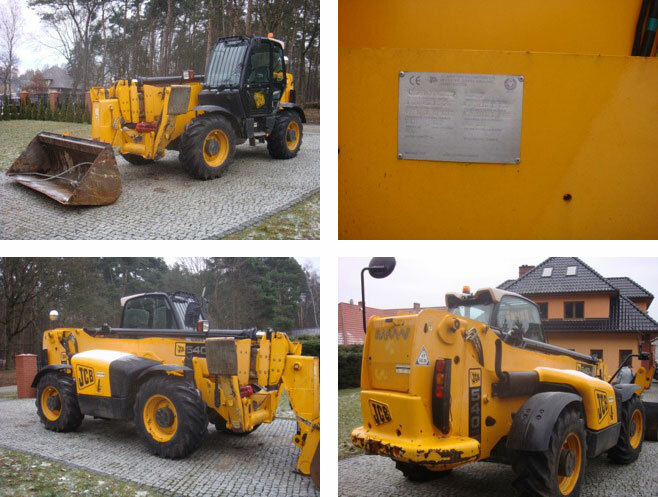 A stolen British JCB Telescopic Handler, found in Poland, was identified in minutes thanks to CESAR security and registration. The machine’s original manufacturer’s marks and VIN plate had been altered in an attempt to mask the machine’s true identity but the thieves had left the distinctive triangular CESAR registration plates alone. One call to Datatag’s 24/7 emergency line was all it took for the investigators to establish the true identity and rightful owner of the machine using the unique CESAR registration number. Even if the thieves had removed the registration plates the machine’s identity would still have been easy to establish thanks to CESAR’s unique and permanent security marking ‘fingerprint’. Every CESAR registered machine is given its own permanent ‘fingerprint’ using ‘state of the art’ security marking devices including RFID tags, Datadots and forensic DNA that thieves simply cannot remove. 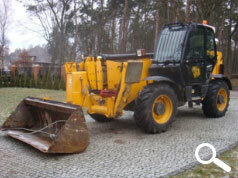 The machine, which was stolen in April 2009, belonged to the national rental company One Call Hire. The recovered machine will now be sold with the proceeds going to leading insurer Aviva who had already paid-out on the insurance claim. This is the latest in a long list of machines recovered and identified with the help of CESAR security and registration, the most successful scheme of its type in the world. No wonder CESAR registered machines are 6 times more likely to be recovered than unregistered machines!